Total Cover Shade & Shelter Experts is owned and operated by two AWESOME NZ families. 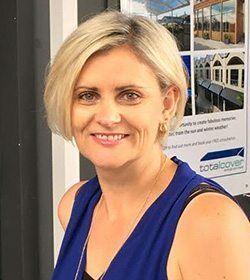 In 2008 Carolyn and Steven Ferrall joined forces with Awning legend Brendon McMurdo to build and develop a small business into an elite customised awning and canopy company servicing all areas of Auckland. Backed with an awesome tight knit team who live and work by high levels of integrity and honesty along with our wealth of knowledge and sound core values, we will not let you down! 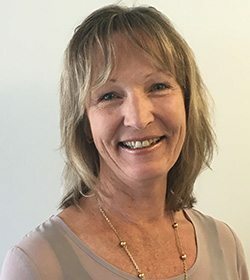 Carolyn is the CHIEF aka Managing Director of the Total Cover clan… and a very hardworking mother to three gorgeous teenage girls… Oh and let’s not forget… most importantly to husband Steve, Carolyn is his ‘smoking hot wife’. Now, back in the days of 2008, Carolyn and Steve were looking for a new venture and were interested in running a business of their own. So, when they found the opportunity to take part ownership of Total Cover Shade & Shelter they did it! Carolyn had little knowledge in the Awning industry BUT had the work skills to set up and run a very successful business to date. From this moment Carolyn became and presently still is the Managing Director of Total Cover Shade & Shelter. Carolyn leads the business and holds ultimate responsibility for the company’s performance. She also has a role in some of the day to day functions. She is a strong believer in providing quality, protective products to the Nation which offer shade and shelter to NZ homes and businesses. 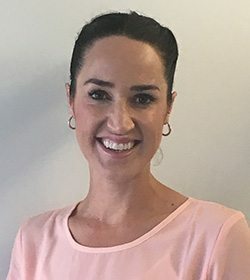 If you were to ask Carolyn why she does what she does… she will tell you ‘To Save Lives’ – with NZ’s melanoma rates being one of the highest in the world, Carolyn’s mission is to provide the nation with a product to assist in protecting our families, friends and colleagues from being put in serious danger to skin cancer. In Carolyn’s spare time she loves to keep fit and spend time with friends. Brendon is Total Cover’s endless book of knowledge and a Director of Total Cover Shade & Shelter, he is an Awning and Canopy extraordinaire. Brendon stepped his first foot into the awning world in the olden days (1989). Fresh into the working force he learnt everything about fabricating and installing shade and shelter structures to protect residential and commercial businesses from our harsh rapid changing NZ weather. As Brendon developed his career over the years he stumbled across an awning business who needed a fabricator, this business being … Total Cover Ltd. Brendon began his journey with Total Cover in the year 2000 and it wasn’t until the year 2008 that he took the opportunity to become an owner of the business. It was at this time he decided to join forces with close friends Carolyn and Steven Ferrall to take over ownership of the business and pursue his career – but this time as an Owner! With this came more responsibility and a big challenge whilst outside of work he grew his beautiful family of six! Throughout these years, Brendon has become a well-known face and personality in the NZ Shade & Shelter industry. He is known for his calm nature, friendly face and integrity. Brendon’s passion lies in the design & detail of our structures and using his skills to develop structures like no other on the market. If you get the chance to meet Brendon you should feel total reassurance that you are being well looked after. He will offer you only highly skilled knowledgeable advice and service. In Brendon’s spare time he loves to watch a good movie and play sport. If you met Steve for the first time your first impression would be what a ‘funny guy’ his personality traits are one of a kind. Steve is the guy who loves to chat. He will listen then apply his skills to find you a solution to suit your lifestyle and home environment. 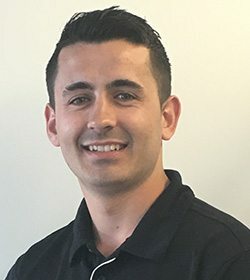 Steve has a career history in sales and isn’t afraid to ask questions to find you the best solution. 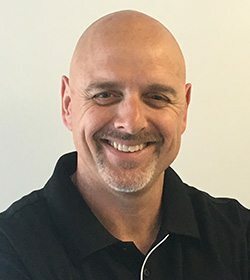 Steve has always been the sales man for Total Cover, he has developed his selling skills and values through a career history in selling advertising. It was only when Carolyn decided they should look into running a family business that they applied their skills and adapted them to the Shade & Shelter world. 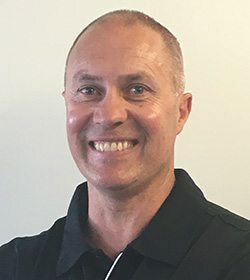 But, sales is not all Steve does for Total Cover Shade & Shelter… Steve is a man of many fine talents so when he took the opportunity of becoming a joint business owner he not only worked on sales but has also had a role in the operations department. Whilst Steve and Carolyn have developed Total Cover Shade & Shelter they have been raising three very intelligent girls. If you have seen Steve’s dancing skills on the Kiwi Bank independence TV advertisement, don’t think twice – ask him for a demonstration… We are sure he won’t say NO! Steve loves to have a laugh, and in his spare time he enjoys motor racing and working on growing his calve muscles. Kourtney lives for client interaction. She enjoys managing the sales team for Total Cover Shade & Shelter and developing ideas and solutions for all of her clients. When not working on sales you’ll find Kourtney building relationships and developing marketing strategies to gain further brand awareness. In her spare time, she enjoys being mum to 6-year-old Jasmine and staying active! Tom has been a dedicated employee of Total Cover for the past five years, he is now leading our installation team on site and runs the fabrication team back in our factory. He works with full passion and enthusiasm. In Tom’s spare time he is a doting father of one and an avid football player! Tom is also a qualified and experienced welding man… welding is a fine technique which requires a steady hand and precise focus for our type of work! You know your frame is going to be high quality when Tom has applied his great welding skills and talent which is hard to find! Jeanette is our lovely face of the company, from the moment you enter our doors or pick up the phone to call us you will be welcomed with professionalism and friendliness. Whether she’s run off her feet or taking the time to catch up on things Jeanette does everything with enthusiasm and a smile! No job is too tough for Jeanette and she aims to make your day! In Jeanette’s spare time she loves to focus on her hobbies such as sculpting, seamstressing and keeping fit! Kelly keeps all the numbers in line, and handles all of Total Covers pennies. 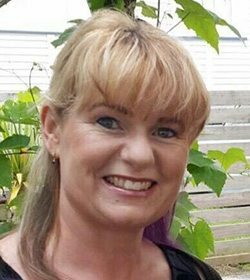 Kelly is a busy bee who services many Auckland companies with her financial knowledge. She has a busy family consisting of three social teenagers and a loving husband! In her spare time, Kelly loves her crafts and teaches candle making. Total Cover Shade & Shelter Experts is progressively and successfully becoming the ‘Number One’ in the marketplace for all your ‘Life Saving’ outdoor products. We produce high quality aluminium framed awnings and canopies along with café screens and retractable pergolas…. With a new move to bigger and better premises, we bring all customers a product which suits their requirements. You have the security knowing that when you deal with Total Cover Shade & Shelter you deal with the same people from beginning to end. We consult, we fabricate, we install and maintain… And wait for it…if you are feeling lucky each month we might just treat you with a special something to say thanks. So, if you’re looking for a good enough reason to choose Total Cover Shade & Shelter as your providers of outdoor cover, no matter what…the service you will receive will be remarkable and exceptional, and the product will always be PREMIUM QUALITY! LASTLY and FINALLY, the most important reason to go ahead and get this project done for your outdoor area is YOU WILL ADD YEARS TO YOUR FAMILIES LIVES by PROTECTING them from harmful UV Rays which is what we’re committed to!